If you love Broadway theater, you probably know that Pippin is playing at the SHN Golden Gate Theater right now. While I don't recommend you take the kids to see it (read my "Is Pippin appropriate for kids?" Broadway Pippin review here and you'll see why), I do highly recommend that you go on a date night. Andrea Martin will perform as Berthe in Pippin's last two weeks of the run, October 7-19. I saw her in the role on Broadway and she was amazing and a show stealer. I'm sure the actress Lucie Arnaz, performing the role until then is also great, but I haven't seen her in it. Matthew James Thomas, who performed the Pippin role on Broadway, is also performing in San Francisco. 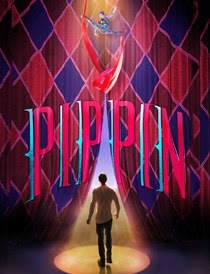 For more about Pippin, read my review, which is comprehensive.